First covered by us way back in the Johnson administration, the Sony Silicon X-tal Reflective Display (SXRD) technology gives projectors a max resolution of 4096 x 2160, which if you do the math, is 8.8 megapixels. 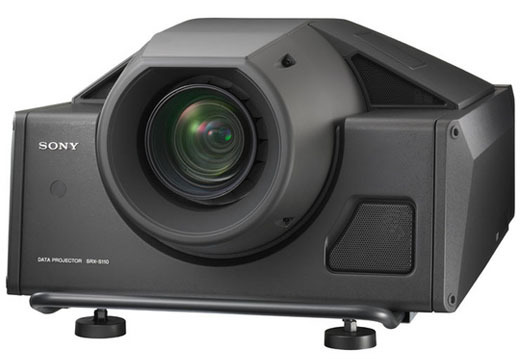 Their newest projector using this technology is the SRX-S110, a device more at home in professional workspaces than actual homes. Projector enthusiasts say that "true" 4K resolution is 10-megapixels or higher, but unless your eyes can see as well as Daredevil's ears can hear, you probably can't tell the difference. The 4K of this isn't enough to display the 4K of the Red One, which is 4520 x 2540, but it's close.